Two Freeformers demonstrate new levels of freedom with Arburg Plastic Freeforming (AKF). Lossburg. Interest in the Freeformer and its innovative technology was already phenomenal among the plastic processing community at its world premiere at the K 2013 in Düsseldorf. This success continued at the Euromold, where the Freeformer also impressed trade visitors from the mould construction, design and product development sectors. The trade fair’s association with additive manufacturing and 3D printing also produced several important new contacts with positive prospects for the future. The Freeformer attracted a great deal of interest and the Arburg stand was extremely busy on every day of the fair. Dr. Oliver Kessling, Head of Plastic Freeforming at Arburg, was consequently delighted: “We were in great demand at Euromold. The many visitors came not only from the German-speaking countries, but also included many members of the international public. “We also had interesting discussions with other suppliers of additive systems, who consider the Freeformer as an ideal addition to this booming market segment”, adds Arburg’s Managing Director Technology & Engineering Herbert Kraibühler. As one of the world’s leading manufacturers of injection moulding machines, Arburg enjoys an excellent reputation as a reliable partner for the plastics processing industry. 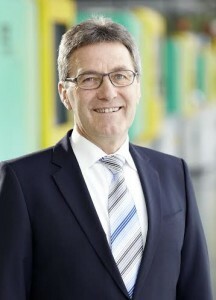 “The Freeformer and the Arburg Plastic Freeforming (AKF) technology have expanded our product portfolio and mark our entry into additive manufacturing, which will benefit the entire industry,” says Herbert Kraibühler. The potential of the Freeformer and of Arburg Plastics Freeforming (AKF) was demonstrated at the Euromold with two exhibits which produced different one- and two-component parts from standard material right at the stand. The demonstration was supplemented by the exhibition of wide-ranging components produced using the new technology. “Our exhibits were extremely well received by the public. Visitors were impressed with the look and feel of the surface quality of the components, most of them assessing it as exceeding expectations,” says Dr Oliver Kessling. With the Arburg Plastic Freeforming (AKF) process, it is standard granulates, rather than special resins, powders, strips or other pre-fabricated materials which are melted and processed. This means that a wide selection of materials and colours is available. The material costs are accordingly low. Material preparation in the Freeformer is very similar to that for injection moulding. The machine is filled with plastic granulate and a heated plasticising cylinder ensures an optimally prepared plastic melt. The parts are produced from tiny droplets of plastic which are produced by the fixed discharge unit featuring a nozzle and a piezoelectric nozzle closure. With the movement of the three or five-axis component carrier the desired part is being built-up layer-by-layer from droplets. With the optional five-axis execution a wide range of undercuts without support structures can be realized. This means that even complex 3D geometries can be produced waste-free with minimal material consumption, achieving highly cost-effective results. However, the Freeformer can do even more. The version with two discharge units can also be used to process two components. In this manner, movable hard-soft combinations, for example, or parts with a special appearance or texture can be produced, in which both components are firmly joined and the parts can be used functionally. Arburg has consistently followed the same approach with the Freeformer as with its injection moulding machines, developing complex technology in-house and making it simple to use. The parameters required for the construction of the parts are automatically generated by the Freeformer control system with a gesture-controlled multi-touchscreen. This receives the 3D CAD data for the components to be manufactured in the form of STL files, processes it automatically through slicing, after which production can start. No special programming, processing knowledge or extensive training is required. One aspect that proved extremely popular among developers and design offices in particular were the plug-and-play features of the Freeformer. The parts are produced completely free from dust and emissions. The machine is therefore suitable for virtually any application environment, whether in production, the office, the design department or a clean medical technology environment. No extraction or filtering equipment is required. The Freeformers are mobile and universally usable thanks to their compact dimensions and immediate production readiness. 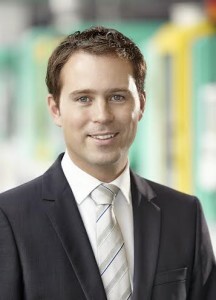 The machines are simply connected to the power supply and production can begin straight away.In addition to the questions relating to technical features and availability, according to Dr Oliver Kessling, a particularly large number of questions had also been asked in relation to the production of parts and the plans for other Freeformer sizes. 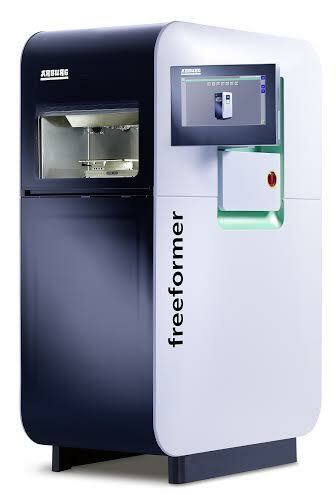 Herbert Kraibühler answers the question of how the Freeformer fits into the company’s important overarching philosophy of production efficiency: “The Freeformer is the ideal addition to our range for the cost-effective production of plastic parts. The central question for our customers in the future will be: ‘How many parts do you plan to produce, how quickly and in what quality?’ Injection moulding will always be the right solution for the production of high-volume runs in top quality.